In the Miracle Man, Robert always knew his time was limited to do great. I think that is why he always pushed himself harder and further than any person has ever done before. By doing so, he was hailed as a saviour and a miracle worker with his cures and all of the lives he saved all around the world by making access to his cures affordable for all. Not all viewed him in the same good light and he made strong enemies with the pharmacy industry. He destroyed their business of making money off of illness and they wanted him stopped. 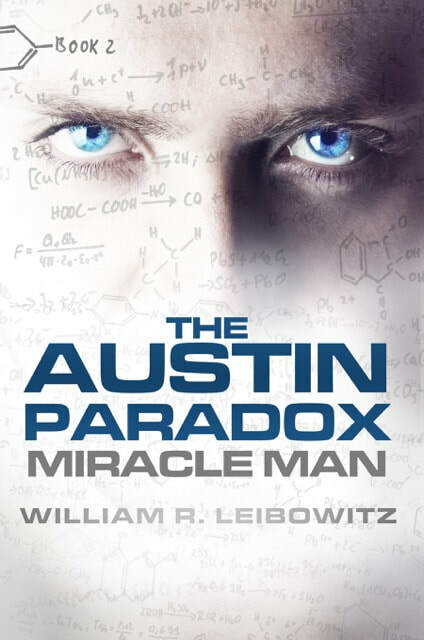 They even went as far to have him killed – instead of killing him, they destroyed a worse part at the end of the Miracle Man. His intelligence. In a blast designed to kill him, Robert survives but loses all of his genius abilities – he can not even follow his own formulas and notes. When many thought he would lose meaning in life, it is his wife and the birth of their first child that gets him through the worst. While a part of him is always itching to understand, he begins to discover a new way of life. They settle into the witness protection program and life looks like it can finally be “normal”. A man like Robert can not just let his abilities lay dormant – especially when he was on the verge of discovering the cure for AIDS. He begins his own journey of self discovery, unfortunately behind the back of his wife and his assistant – the two women in the whole world who love him unconditionally. This is all played out in the backdrop of one of the world’s worst plot to destroy humanity – a bioengineered disease that will kill millions without a pharmacy owned cure. This plot was developed by the same team that tried to destroy Robert’s life. Not only is he out of time for giving himself the time he needs to recover, he needs to act fast or the world that he lives in will be destroyed forever. You are on the edge of your seat the entire time, watching, waiting and praying. Not to mention being horrified at how quickly this disease spreads and can be spread (and the real life consequences of this type of warfare). This was a thrilling novel from start to finish with multiple levels of plots that will have you not wanting to put this book down. It is a definite must read!! You can purchase a copy of this book on Amazon, Barnes & Noble and iBooks. Great review! Thanks for sharing and thanks for the giveaway!